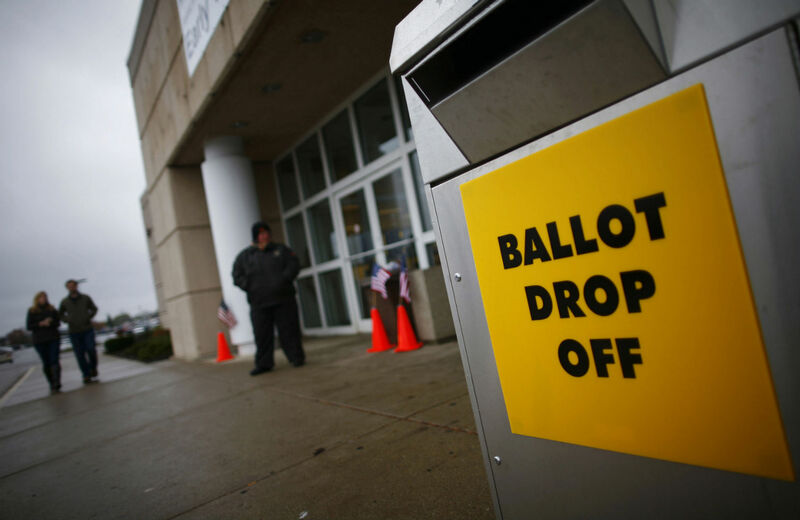 The Ohio legislature is once again passing new restrictions to make it harder to vote. In response to the long lines, Ohio adopted thirty-five days of early voting in 2008, including on nights and weekends, to make voting more convenient. But following the large Democratic turnout in 2008, Ohio Republicans drastically curtailed early voting in 2012 from thirty-five to eleven days, with no voting on the Sunday before the election, when African-American churches historically rally their congregants to go to the polls. Voting rights activists subsequently gathered enough signatures to block the new voting restrictions and force a referendum on Election Day. In reaction, Ohio Republicans repealed their own bill in the state legislature, but kept a ban on early voting three days before Election Day (when 98,000 Ohioans voted in 2008), adding an exception for active duty members of the military, who tend to lean Republican. But now Ohio Republicans are once again resurrecting efforts to make it harder to vote. Last month, the GOP-controlled Ohio Senate, on a party-line vote, voted to cut early voting by a week, eliminating the “Golden Week” when Ohioans can register and vote on the same day during the early voting period (Senate Bill 238). The legislation was introduced and passed in one week, with almost no time for substantive debate. The Senate also passed a bill preventing the secretary of state or individual counties from mailing absentee ballots to all eligible voters unless the legislature provides the money, which they are unlikely to do (Senate Bill 205). The Ohio House, which is also controlled by a large GOP majority, is holding hearings on the bills this week. These restrictions—and additional measures being considered by the legislature—have the potential to impact millions of voters in the Buckeye State: 600,000 Ohioans voted early in 2012, more than 10 percent of the state’s electorate, and 1.25 million voted by mail, 22 percent of the electorate. “The voting rights community is raising the alarm because these laws in and of themselves are significant, but we fear they are the beginning of a wave of bills to make it harder to vote in Ohio,” says Ellis Jacobs, founder of the Miami Valley Voter Protection Coalition. Jacobs fears that the legislature could soon consider proposals to further cut early voting hours, particularly on weekends when it’s most convenient to vote, along with a strict voter ID law (900,000 Ohioans, including one in four eligible African-Americans, don’t have a government-issued ID). The unpopular voting restriction bill of 2012, which the legislature repealed after opponents forced a referendum, “is being reintroduced in pieces,” Jacobs says. “It’s an effort to sneak it in under the radar and to make it very hard to overturn by referendum.” Incidentally, the first elections bill passed by the legislature this year and signed by Governor John Kasich made it much more difficult for citizens to challenge legislation via referendum. Republicans have claimed that cutting early voting and Ohio’s Golden Week are necessary to stop voter fraud—their one-size-fits-all justification for all voting restrictions—but there’s no evidence that early voting or same-day registration has led to voter fraud in Ohio, just as there’s no evidence of voter impersonation that a voter ID law would stop. The Secretary of State’s office reported that 5.6 million voters turned out for the November 2012 general election and just 625 ballots showed irregularities. Of those, 115 were investigated by law enforcement and 20 were sent to the Attorney General Mike DeWine. The Attorney General’s office said 13 cases of voters casting ballots in multiple states were ultimately turned over to the prosecutor’s office. Ari Berman discusses the two-tiered voting systems emerging in Kansas and Arizona.